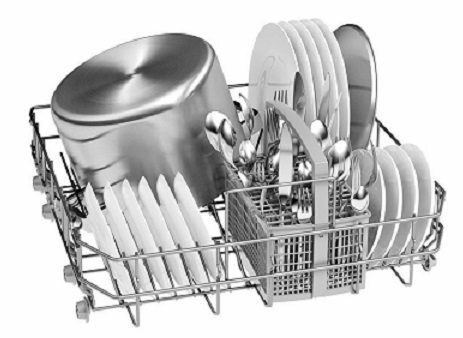 As the name suggests, a dishwasher is a mechanical device that cleans dishes and utensils. A dishwasher removes soiling from your dirty cutlery through cleansing, spraying hot water, rinsing and drying, all with a touch of a button. If you want to give yourself a break from doing the dishes or if you are too tired of the tantrums put by your maid, then dishwashers could be your life saviour! 1) Automatic dishwashers are more water efficient than regular hand wash.
2) It’s effortless and time saving, so that you can concentrate on more important works! 3) Kills germs and bacteria very efficiently. 4) Its environment friendly and budget friendly. 5) Reduces stress, especially during parties and events. Some of the common thoughts before buying a dishwasher include queries like: How frequently you are going to use the dishwasher? Do you intend to run smaller or bigger loads? Do you need a portable or a built in dishwasher? Etc. Before you buy a dishwasher, it’s important to redo your counters. 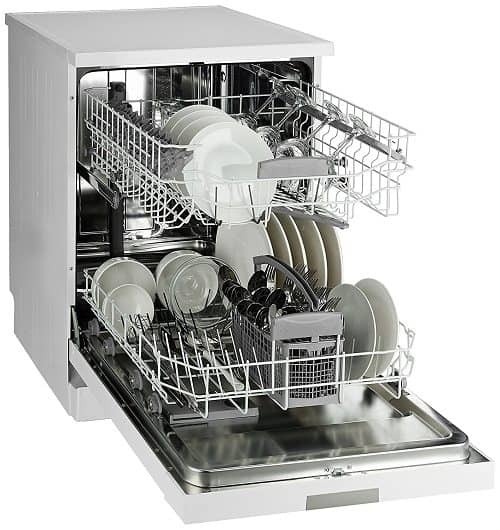 Most dishwashers are designed to fit into a 35×24 inch cavity. Portable and Free Standing dishwashers requires hassle free installation. Always opt for a professional/ company provided installer. 2) Types of Racking: Third racks, Adjustable or Removable racks or Silverware caddies. 3) Specialized cleaning systems: sanitization cycle, steam cleaning, glass care cycle and extra clean cycle. 4) To reduce energy usage, look for efficient features like soil sensors, half load options, drying cycles and speed or eco wash cycles. 5) Energy and water saving considerations. Most companies provide a warranty of 2 years on product. 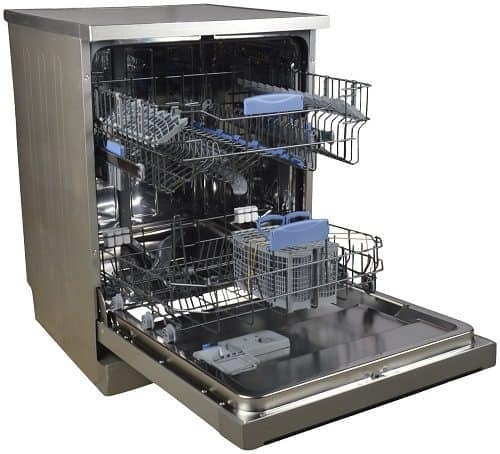 Besides variations in technical specifications, the dishwashers come in various finishes and types. The most popular finishes are: stainless steel, glossy and matte. This is the best dishwasher available ! 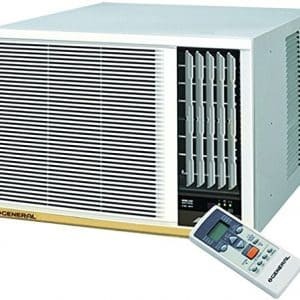 This unit is best known for its hygienic cleansing, electricity saving and automatic program features. 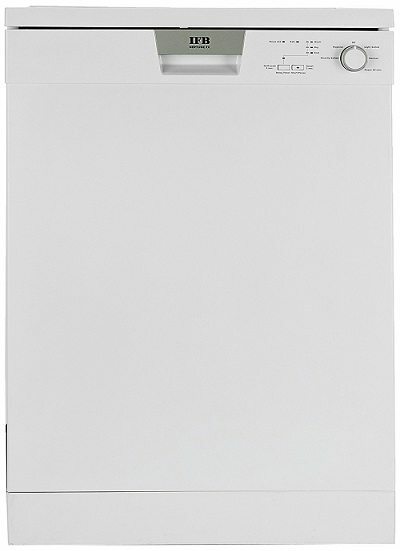 With 100% lifetime guarantee against water damage and glass protection technology, the Bosch Free Standing dishwasher is going to be your sturdy kitchen aid for years to come. Eco Silence Drive with top shower, aqua sensor and load sensor. 6 wash programs: Intensive kadhai, Auto, Express Sparkle, Eco, Quick and Pre Rinse at different temperature range. Inner-tub made of stainless steel/ Polinox. Time Delay feature for 1- 24 hours. With 70oC water heating capacity, each wash kills 99.9% germs and bacteria. Effortlessly cleans super greasy stains including those of masalas, curries and milk. Eco Silence Drive feature helps save electricity (1kW energy consumed per use). No need to pre- rinse vessels. Not suitable for non-stick, hard anodised or aluminium containers. 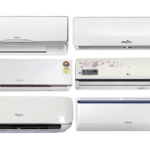 Installation from Bosch may take upto 5 – 6 days. 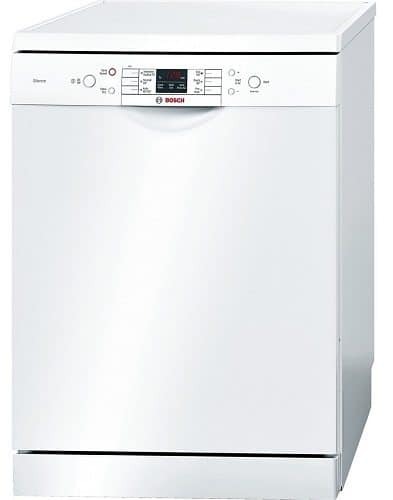 IFB Neptune VX is the perfect pick for those who use dishwasher on a regular basis, thanks to its energy efficiency of 0.9 kWh. The Jet wash mode can help you clean the comparatively less dirty utensils like tea and coffee mugs in a short and efficient manner within flat 18 minutes. Water softening device (up to 60dh) optimizes detergent usage. Flexible half load mode and adjustable racks for custom space. Energy efficiency with A++ rating. 9 washing programs: economic, hygiene, normal, pre- wash, quick, super, auto delicate, auto normal and auto intensive at different temperature range. 4 shelves of upper rack and adjustable racks provide better loading capacity. Jet washer mode helps to do away with less greasy utensils in a jiffy. IFB official detergents are a little costly. 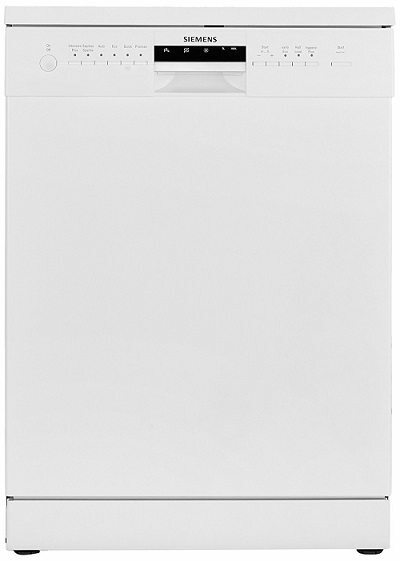 Quite similar to the Bosch’s Silver inox variant in features, the Bosch Free Standing 12 Place Settings Dishwasher (White) is comparatively a cheaper option. Compared to the steel body in 18IN, this one comes in a white painted body and has higher water consumption in Eco Mode. 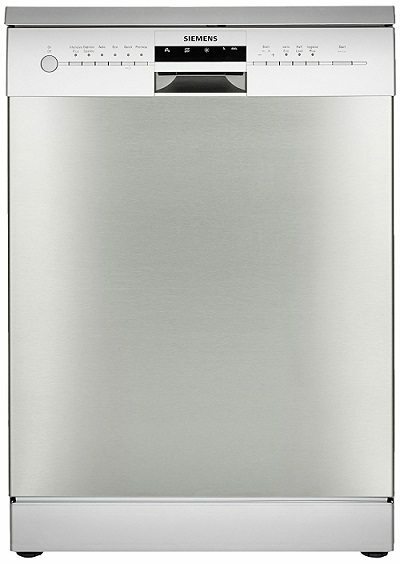 Additionally, the lower tray holds the dishwasher tablet dishwasher mechanism in 18IN. 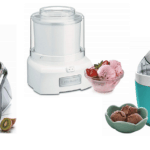 6 programs: Intensive Plus, Normal Express, Auto, Eco, Party and Pre Rinse at different temperature ranges. 2 years warranty on product and 10 year warranty against rusting on inside of tub. With minor technical differences, it is much a cheaper option than the Bosch’s silver inox version. Load Sensor and Half load option automatically detects the size of the load and subsequently manages water and electricity consumption intelligently. Filter is quite fragile so take extra care to avoid damage. If you are looking for more usable space in a compact design, then this unit might be the answer for you. Thanks to the Invertor Direct Drive Motor Technology, it is eco-friendly, less noisy (45 dB) and energy saving. 5 Programs: Dual Wash, Auto, Eco, Gentle and Quick. 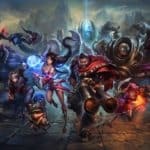 1- 19 hour time delay feature. Special features: LED display, child lock, aqua stop, extra hot, auto restart, refill indicator, delay start and triple filter. 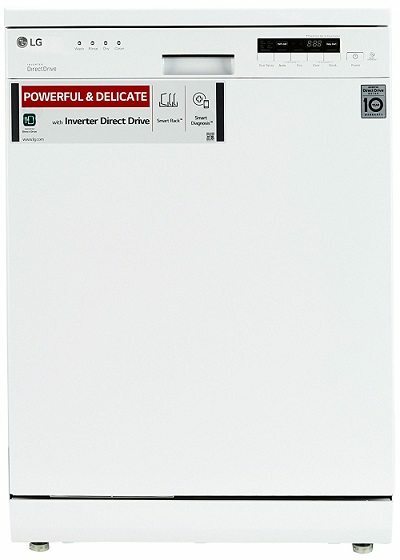 Invertor Direct Drive Motor technology helps saves electricity and comes with a 10 year warranty. Smart rack system (with height adjustable racking) ensures more space availability and flexibility. A little high in price as compared to others. 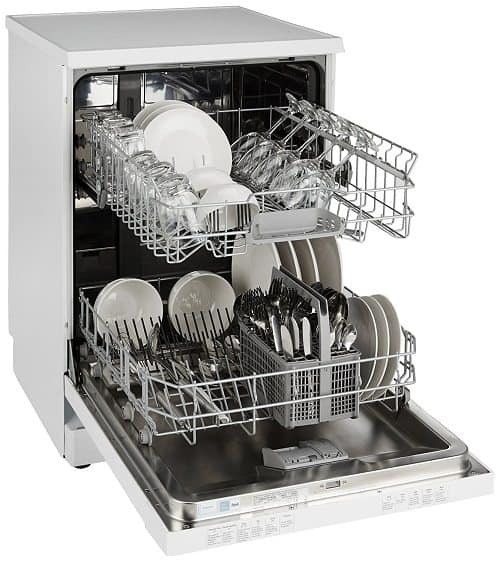 If you live in an area that supplies hard water, then the IFB 12 Place Settings dishwasher can give a tough resistance with its automatic water softening device. 12 space capacity with adjustable and foldable upper basket. Automatic water softening device up to 60dh, which increases the efficiency of detergents. Noisier (52 dB) than others. 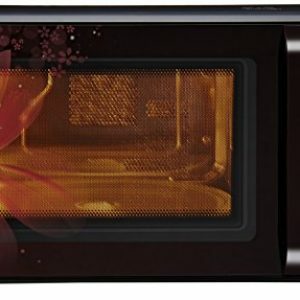 With the Kadhai70 program, the Bosch SMS60L02IN is perhaps the most eligible Indian kitchen helping aid. Whilst the Aqua stop feature checks spillage of water, the delay timer helps you to select pre-set timings and programs for your washes. Height adjustable top basket and 2 foldable plate racks in bottom basket with button suspension. Aqua stop feature for leakage control. Child-lock option and Glass protection technique. Delay timer and Loading Sensor. Special LED indicators for salt refill and rinse aid refill. 50% wash cycle time reduction to save time and energy. 24 hour time delay option. Utensils need to be fully soaked in water for perfect cleaning. 1 Year Manufacturer Warranty only. 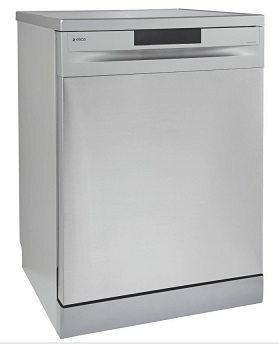 Packed with dozens of features, this dishwasher from Siemens is one of the most advanced dishwashers currently available in the market. 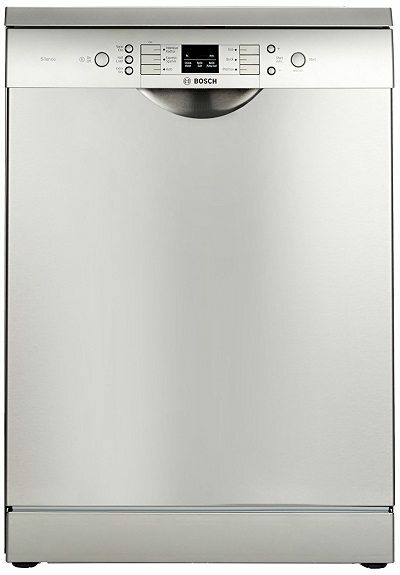 From intelligent and automatic sensing to time and energy saving provisions, this dishwasher is perhaps the best pick at 40k. 6 washing programs and 3 wash options. Special sensors: Aqua sensors and Load sensor with automatic detergent detection and dosage assist basket. 2 years comprehensive warranty and 10 year anti- rust warranty for inner cavity. Hydro mix glass care protective system for better durability. Automatic reset start technology and IQ drive cleaning technology. 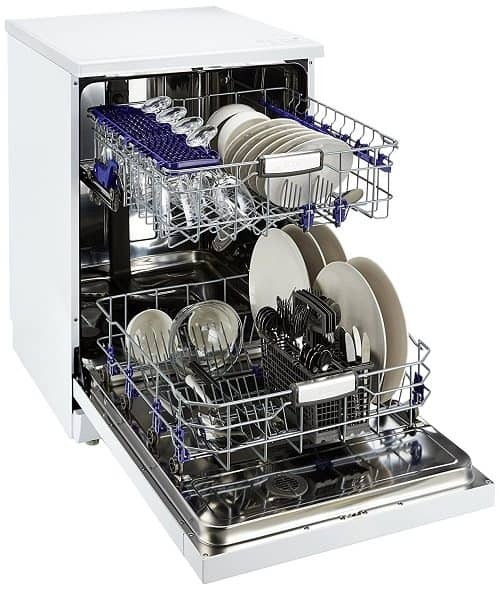 Additional top shower and speedier dishwasher that reduce 60% of the wash cycle time at a cheaper price tag. Efficient detergent and water distribution system ensures better cleaning. Plastics can be used safely in Eco mode. Extra drying system ensures complete finish with no traces of oil or grease at the end of the cycle. Noisy (52dB) compared to others. With the iQdrive motor technology, the Siemens SN26L201IN dishwasher model is virtually wear free, long lasting and one of the most efficient. While the Half load and Pre Activated Vario speed feature saves time, the Hygiene Plus and the express Sparkle feature doesn’t lets you compromise on quality. 7 segment display with 4 wash temperatures and 24 hour triple water protection technology. 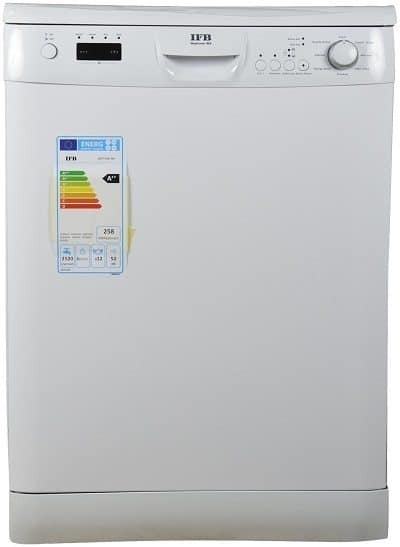 Aqua sensing and IQ drive features ensures adequate detergent, water and electricity usage. 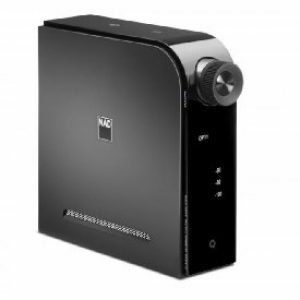 46dB noise level ensures lesser noise than other products of the same range. 4 wash programs helps in adjusting to all types of washing needs. Front adjustable feet for convenient usage. 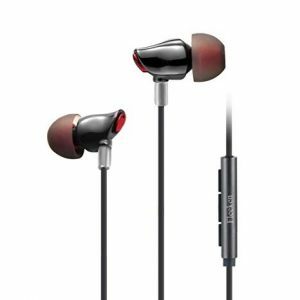 With a slight modification from the IFB Neptune VX version, this unit is better in terms of features and energy consumption. 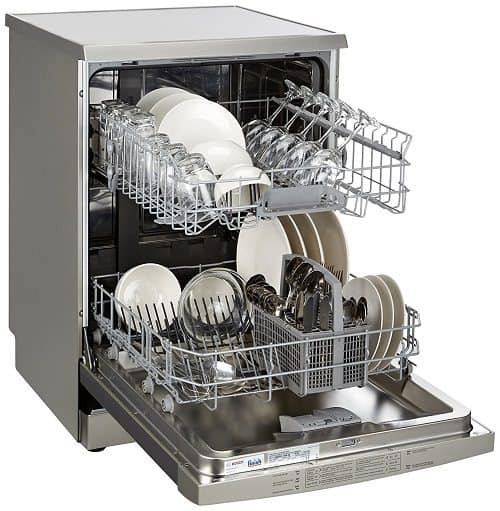 Adjustable racks, steam drying and heavily soiled programme are some of the most prominent features of the IFB Neptune WX dishwasher. 9 wash programs: crystal, crockery, expresses, heavy soiled, extra heavy soiled, mix load, pots, energy saver and pre wash. Flexible hard load water softening. Steam drying and extra heavily soiled programme follows 3 stages to remove even the slightest traces of dirt. A wide range of automatic wash programs helps in customizing our washing needs. 3 in 1 wash option with detergent, salt and rinse aid ensures better cleaning in one go. Height adjustable racks ensure better flexibility. High water (22.7 L) and Electricity consumption (2.2 KW) with borderline noise levels (52dB) when compared to other products of the same price range. 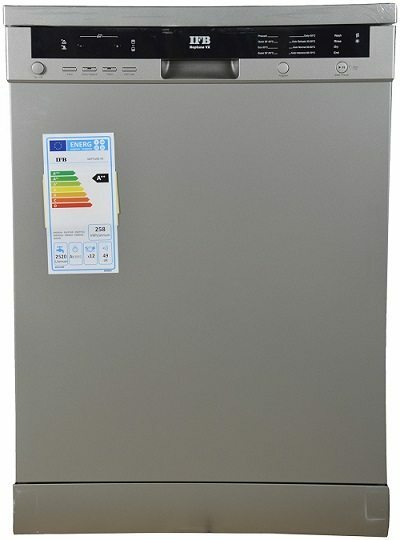 It is one of the cheapest available heavy duty dish washer that will be a perfect match for Indian homes. The 12 place setting can load cutlery of different shapes and sizes. The controls are very basic and thus the machine can be easily used even without a demo. 5 wash programs: Intensive, Rapid, Pocket Handle, Eco, Quick. 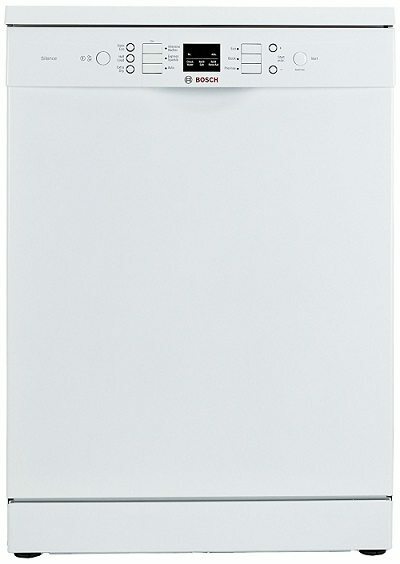 One of the cheapest free standing dish washers available in the market. Easy to use because of very basic control features. Efficient energy and water consumption. 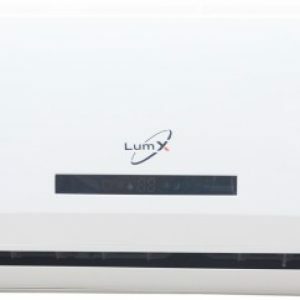 Only 1 year manufacturer warranty on the product. Requires soaking of utensils before washing. 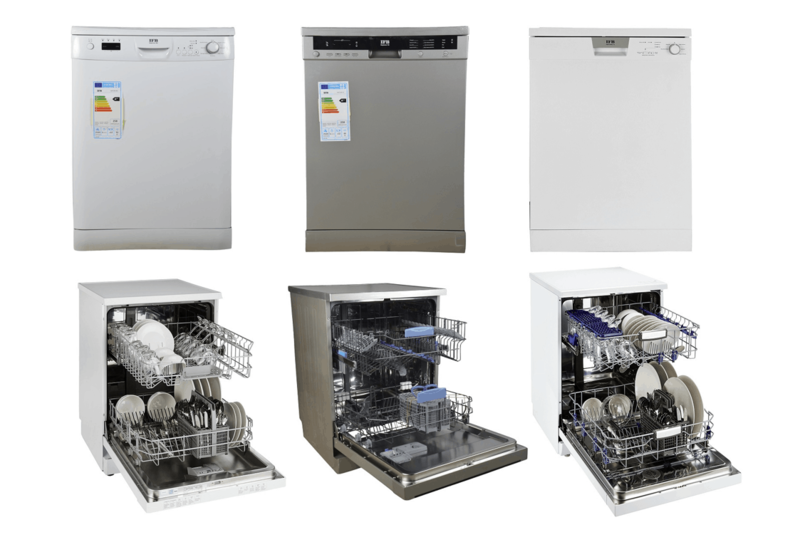 Which dishwasher do you use ? Are you satisfied with customer service ?